Inc.magazine today ranked Aureus Tech Systems NO. 830 on its 36th annual Inc. 5000, the most prestigious ranking of the nation's fastest-growing private companies. The list represents a unique look at the most successful companies within the American economy's most dynamic segment— its independent small and midsized businesses. Companies such as Microsoft, Dell, Domino's Pizza, Pandora, Timberland, LinkedIn, Yelp, Zillow, and many other well-known names gained their first national exposure as honorees of the Inc. 5000. 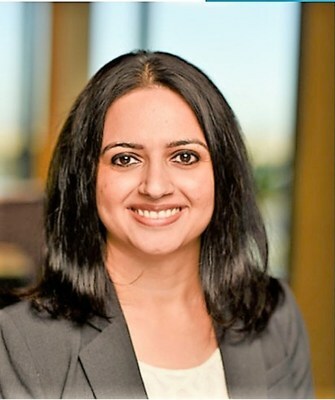 ‍"We are honored and excited to be included in this prestigious list of companies," Aureus Tech Systems's Chief Executive Officer, Sujata Bhattarai, said. "It is a testament to the hard work and dedication of our employees and our customers' continued trust in the company. We are confident that our vision and strategy around next-generation mobile and cloud transformations will help with long-term and sustained growth." This year's Inc. 5000 recognition comes after a three-year stellar growth of 545 percent, and 2017 is already on pace to continue this exceptional growth rate. In addition, Inc. also recognized Aureus in the top 15 growing companies in the Denver metro area and top 20 in Colorado. Aureus added over 30 percent more jobs in 2017 in the Denver offices. "Our continued investments in research and development to help with our clients' transformation initiatives in mobility and the cloud have been key growth drivers for the company," Aureus Tech Systems's Chief Operating Officer, Abhishek Pakhira, said. "Microsoft Azure has been a great enabler, and this year, we have strengthened our partnership with Microsoft. We are grateful to Microsoft for their continued investments in our research and development initiatives."